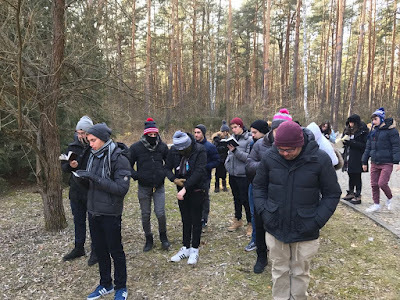 On Saturday night thirty one seniors and four faculty members embarked on our annual Senior Heritage to Poland. 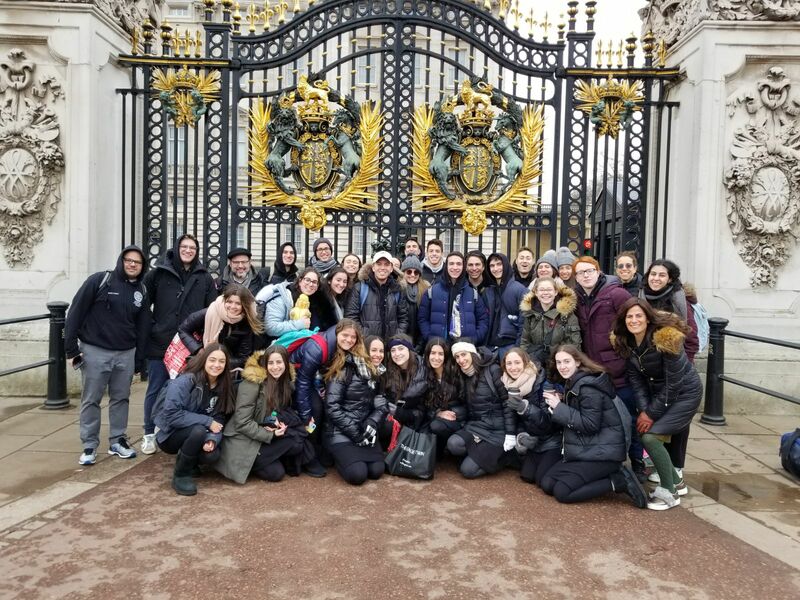 After a stop over in London, where we got to see Buckingham Palace, we landed in Warsaw. We visited the Warsaw cemetery where we met up with the Polish Bridge of Youth participants, a Polish public school teacher and two of her students. We saw the grave of י ל פרץ and the mass grave for Jews who couldn't be given a full Jewish burial and funeral. 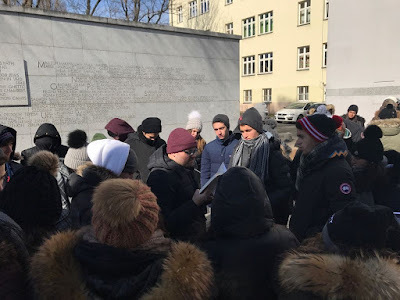 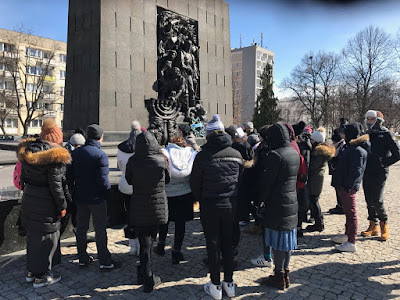 From there we traveled to the Warsaw Ghetto and saw the monument built in commemoration of the Jews who fought, ran, and perished. After the ghetto, we parted from our Polish friends and made our way to Treblinka, a death camp that focused on murdering Polish Jews. 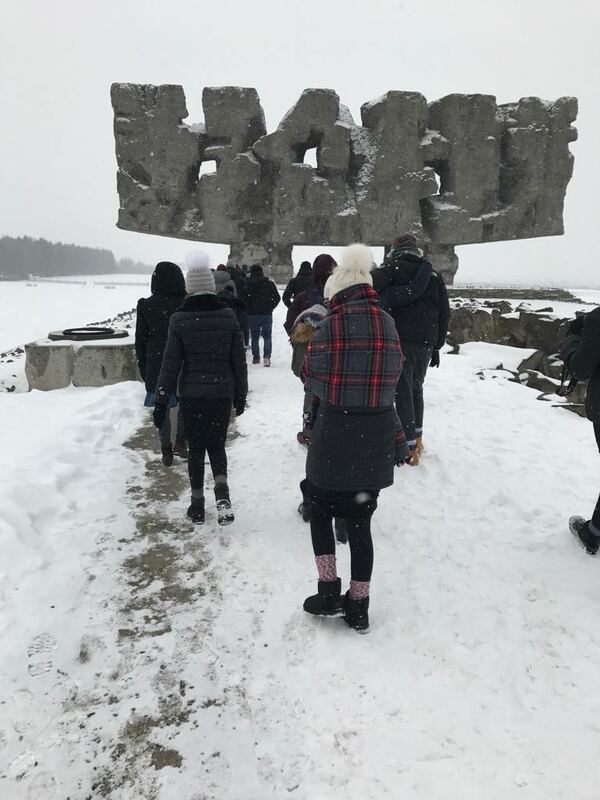 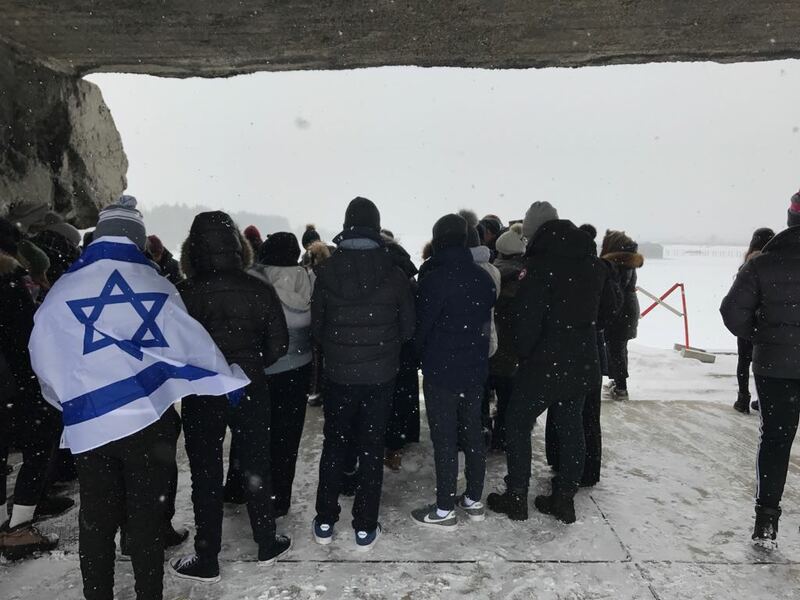 At the camp, Yeahivah of Flatbush students involved with the Bridge of Youth program added their stones to an existing memorial, started by the Polish students, in memory of the 1.5 million children who died in the Holocaust. 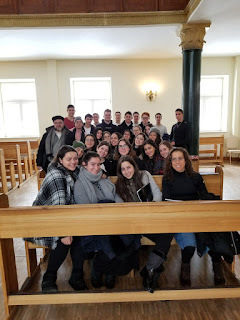 The following day, we traveled to Lublin where we visited Yeshivat Chachmei Lublin established by Rav Meir Shapiro. There we learned a piece from דף יומי and then made our way to Majdanek.